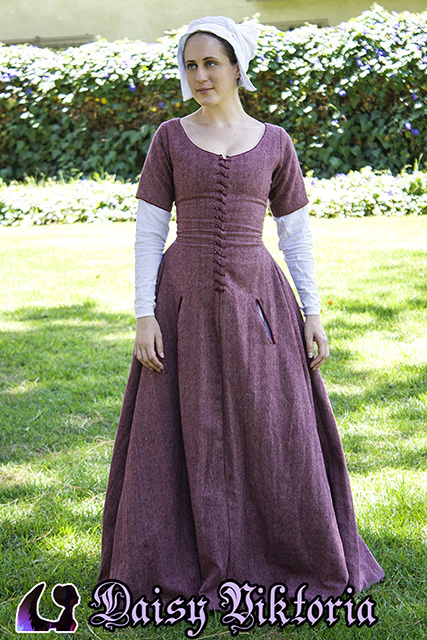 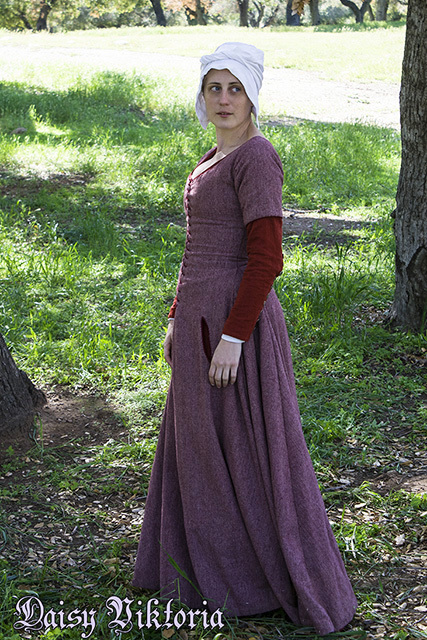 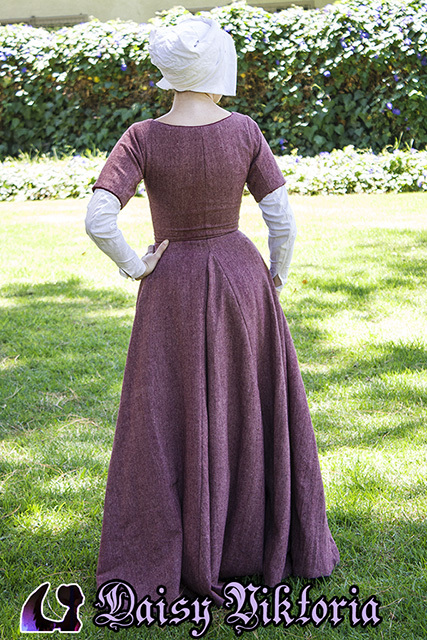 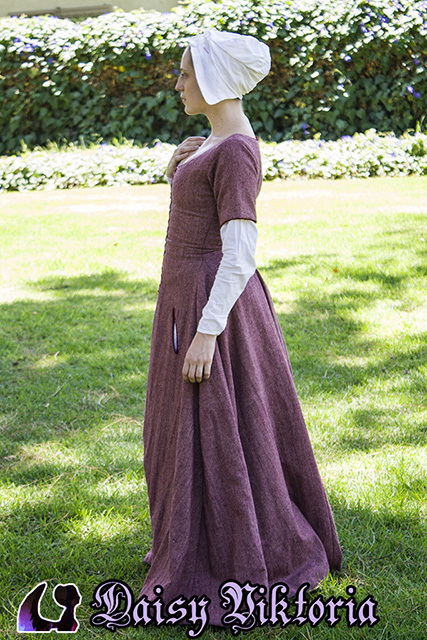 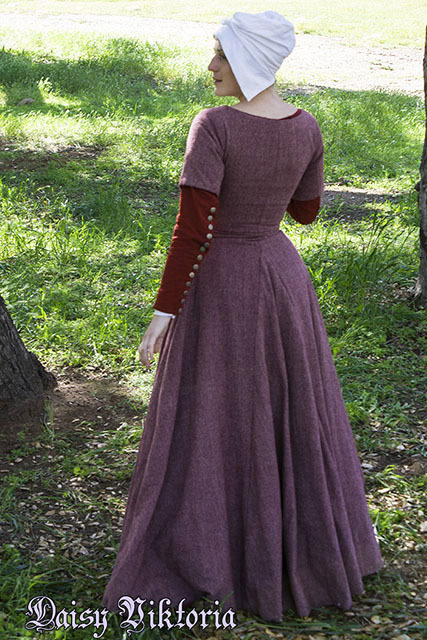 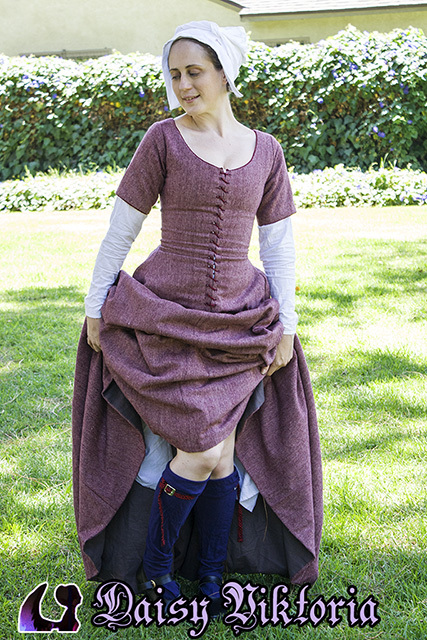 I made this 15th century kirtle out of wool lined in linen. 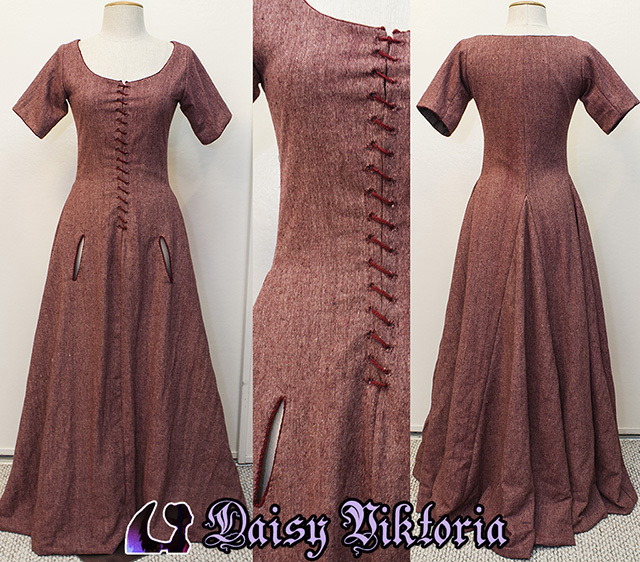 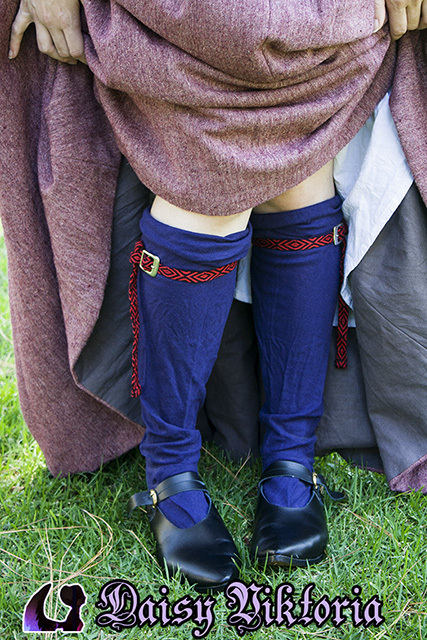 The trim is finger loop braid I made by hand, and the front has fichets, or pocket slits. 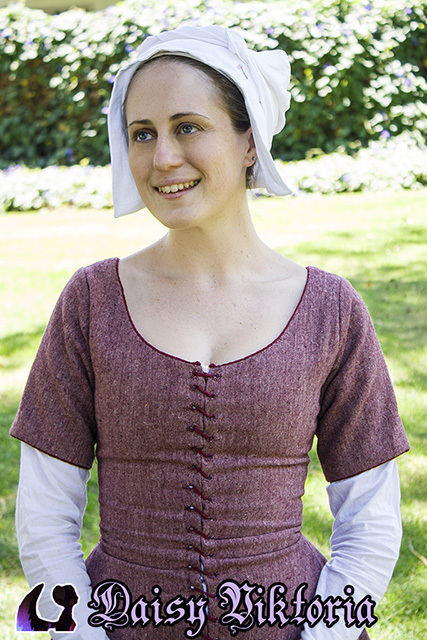 The hat I am wearing is made of linen.